Come January The Salon International de la Lingerie will get ready to flatter the world with the latest from the industry and is going to spread its wings to accommodate the curious visitors to showcase fashionable brands and give a peek into the upcoming collections from celebrated brands around the world. 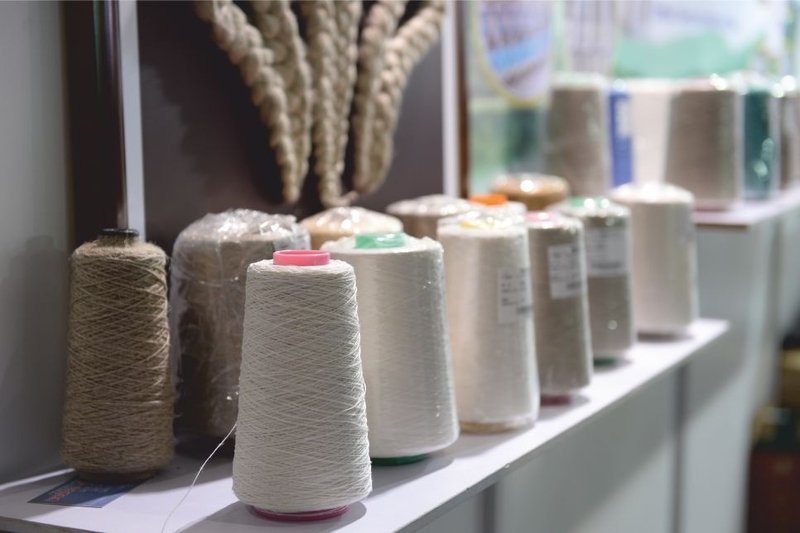 Thread is essential and it’s the starting point for products. It’s also the theme of the trade show’s new communication campaign. It symbolizes the ties that link the com­munity. It expresses continuity. It represents a direction that guides visitors. Rich in meaning, it illustrates the very mission of the Salon International de la Lingerie. Get information on the fall/winter 17-18 trends in a new, inspiring space showcasing the must haves of the season. Visitors will get ideas for both products and merchandising. And the Retail Academy will put theory into practice – this «boutique school» will explain how to dis­play products in stores to encourage the buying act. Whether «Being Zen» (pureness reigns), «Being Decorative» (an arty feeling), «Being Nostalgic» (savoir-faire above all), or «Being Scandalous» (an ode to pleasure)... it’s all about being yourself first and foremost. Uncover, a new exclusive space, will present a selection of the boldest, most original products from both the best known names and those under the radar. The customized setting will use codes similar to a concept store. mi­nutes sharp. The fashion shows have been divided to spread over the three days of the exhibition and will revolve around several themes including DUALISM, ARTIST’S STUDIO and THE SELECTION. Apart from the breathtaking shows, there will more than 20 conferences, that will also be spread across the 3 days to discuss the trends of the upcoming season- Fall-Winter 17/18. 480 BRANDS FROM 6 SECTORS WILL FILL THE PODIUM OF SALON INTERNATIONAL WITH MUCH EXCITMENT AND FERVOUR. From DESIGNER LABELS to DESIGNER LUXURY COLLECTIONS, CREATIVE LABELS , YOUNG or upcoming DESIGNER LABELS, The essential collections and KEY BRANDS FOR LINGERIE AND CORSETRY will also have a significant presence in the show. From COCOONING suits to NIGHTWEAR, LOUNGEWEAR AND READY-TO-WEAR HOMEWEAR, everything that is expected to be in trend the upcoming season will be on display at the show. Apart from these leggings and stylish leg wear along with superior quality and stylish socks will have a significant presence at the show. Visitors will also be more than happy to see the latest when it comes to menswear and modern day superhero attires will surely add that fun twist to what's on display at this Paris show. As a sector expert, the Salon International de la Lingerie is committed to providing an easy-to-read presentation of the market and to helping visitors and exhibitors. 'The Selection' by the Salon International de la Lingerie is set up like a real buying guide, highlighting the best bets for the season. The Personal Shopper service saves time by helping every visitor find the products they need. An online appointment booking platform connects brands with buyers. And has been devised to save time and ease booking troubles. At www.lingerie-swimwear-paris.com, a search engine identifies the needs of each client. And finally a hotline and concierge service worthy of the finest hotels are available to make life easier for the members of the lingerie community over three days. Yarn Expo Spring 2017 promises to be a vibrant affair!